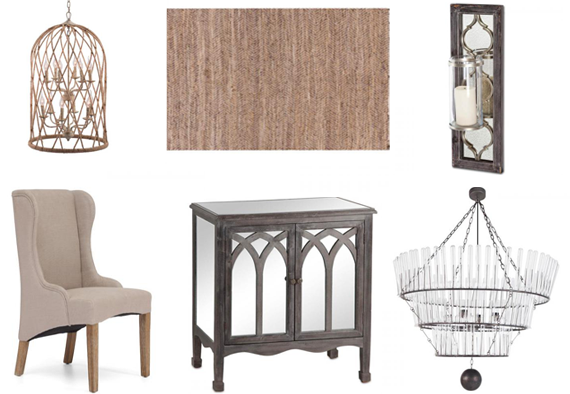 If you live in Canada (like me) and are passionate about home decor (like me) then chances are that at some point, you've found a fabulous home decor item online and you immediately throw it into your "cart". Then it comes time to checkout, since your beloved item is being shipped from outside of Canada, you're hit with astronomical shipping & duty charges. Bugger. Enter PlaidFox. PlaidFox is a new online retailer here in Canada. Yes. Clean up your coffee that you just spit out and read this. PlaidFox. 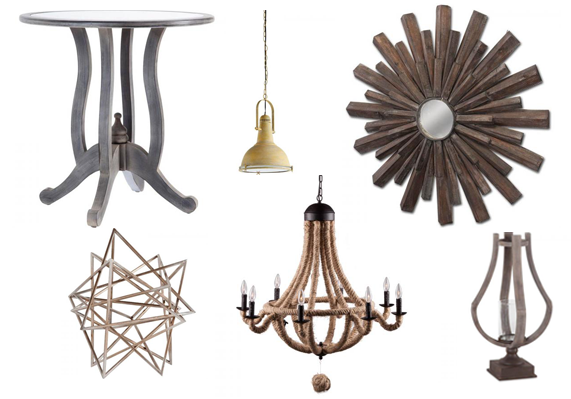 Online home decor shop with an ever growing selection here in Canada. I'm pretty sure that your day has officially been made. A couple of weeks ago I received a lovely email from the PlaidFox team asking if I'd be willing to write about their online shop to help celebrate their launch. A quick peek at their website and you guys, I was super impressed. What got me was that they mentioned that the shop was not yet full, but oh my goodness, it was so full of fabulous items already! Amazing selection, great detail, fantastic prices. This store is looking mighty fine. The team has taken their time with this and they seem to have covered every little detail and more. First order of business....you better believe I tried out their Style Test, something that the team is super excited about. After answering the questions, the test gave me two "styles" and one is pretty much our living room, the other our family room. So basically it knows me better than I know myself! ha! You all know that I adore this style. My secondary style was coastal. You guys, I have to admit that this really did make me smile. Our family room has been such a troublesome room for me. I've had plan upon plan upon plan for this room and nothing has stuck. It's felt "off" for so so long. That is, until a few weeks ago when I finally decided to just go for the coastal, cottage feel that I oh so love....with a twist of course! So fun! After you're given your style, it will give you the option to "shop this style" bringing you to a filtered page of items you will love! You can go ahead and take the test yourself here. And of course, I'd love to know if you think the results were bang on. 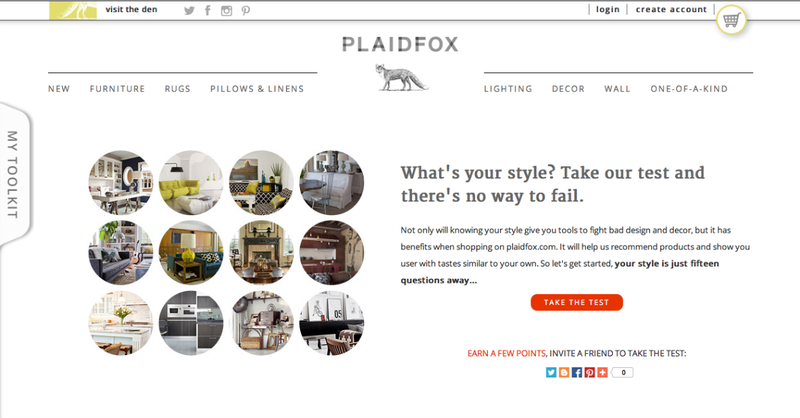 I'm looking forward to placing my first order with PlaidFox in the near future. The problem though, what to buy?! You can find PlaidFox here. You may also want to check out their inspiring blog, The Den and you can go ahead and follow them on twitter, instagram, facebook and pinterest for everyday home decor inspiration! We apparently have very similar design aesthetics---I have no idea how my future home will turn out, hopefully not a mishmash of items because I can't make up my mind which stylet to go with. That last picture of the family room with huge windows is just majestic! I am so excited to check this new company out. I find there are not a lot of online options for home decor. Also, I really love the designs and pictures. Very much my kind of style and very aesthetically pleasing! Home decor has now become the basic need for every homeowner. So, we have found different types of home decor formula from different sources and nowadays it is easily available in different place. Home decor shops are gaining popularity day by day and why not we can get all types of decorating items from here.